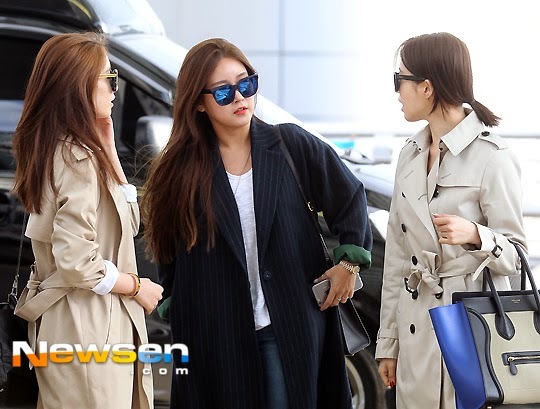 As reported last week, T-ara is now on their way to Malaysia to attend the DYMM Sultan Johor Coronation Carnival 2015. The girls will perform at the said event in celebration of the newly enthroned named Sultan Ibrahim Sultan Iskandar. Additionally, it has been revealed that T-ara is set to perform 10 songs for the event. The carnival started last March 26 and will last till March 29. Aside from T-ara who will be performing on March 29, girl group SISTAR has also performed at the carnival last Thursday. Going back, here are T-ara's pictures from the airport.